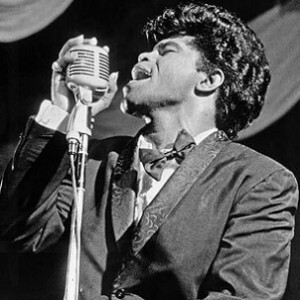 Online video site Pluto.TV will offer a James Brown-focused channel, streaming for free his classic 1960s-era live performances and timed with Friday’s premiere of “Get On Up,” a biopic about the “Godfather of Soul,” starring Chadwick Boseman. The programming is coming from videos of Brown performances on the T.A.M.I. Show, a 1968 concert at Harlem’s Apollo Theater, a documentary about Brown’s riot-quelling show in Boston the night that Martin Luther King Jr. was killed and other video material collected by the music- and TV-reissue specialists at Shout Factory into a three-DVD set called I’ve Got a Feeling – James Brown in the ’60s. The videos will run from 9 a.m. Friday through the weekend, then, become available on demand. The Los Angeles-based Pluto.TV offers more than 100 channels of free online video, including ones for music, sports, entertainment, and children’s programming.